This entry was posted in Leica Advertisements, Leica Digital Cameras on November 25, 2017 by Leicaphila. Somehow this reminds of the old line, “Never watch sausage being made.” Well, I have seen and actually made sausage and it did not bother me. This, however does. I should not say this, but it is reminesent of the transistor radios I liked to take apart as a kid. Not a good video – really demystified the idea of their M10. Usually, when Leica misses in their marketing, it’s because there’s a language barrier. This one had no words, no soul, and no real purpose, sorry to say. 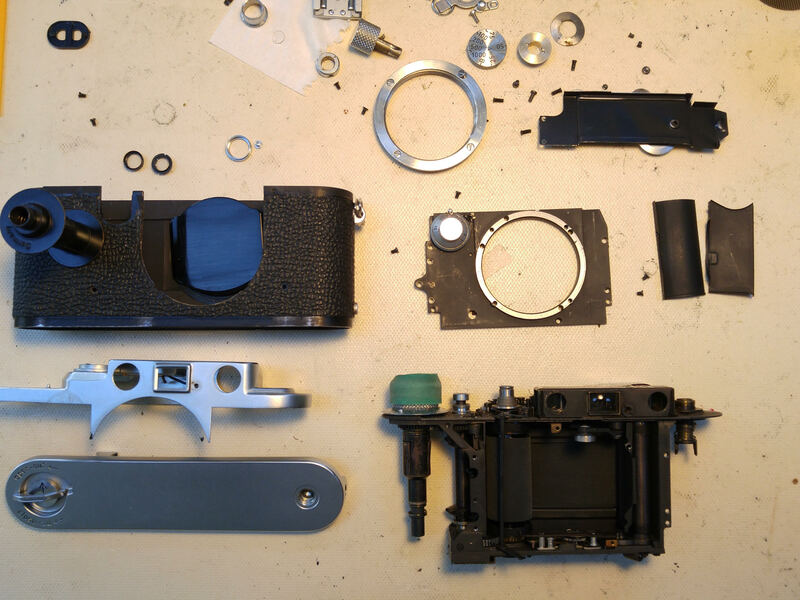 Antiseptics redefined, it seems… The underlying problem is, of course, that only a small number of all the components that make up a digital Leica is actually “made in Germany”. The overwhelming majority originates from secondary suppliers. I’m guessing Japan, China, the US, among others. Quite possibly exposing Leica to consistency issues in the long term. Contrast this with the mighty German automotive industry, where almost all of the secondary suppliers are German. This is interesting. I knew only dentists could afford Leicas, but I didn’t know that Leicas were assembled by dentists. However, I did quite enjoy the little film. It was delightfully high key, had no unnecessary chat to distract and sell, and the lighting on the cameras towards the end was beautiful; quite made me lust after something I can’t afford. Last time I felt like that was looking at a Riva in the local marina. So now two desires can play together, even if they are not total strangers, one to the other. I would like a case of those little foam brooms, but I imagine they cost a hundred dollars apiece and the workers use them once and throw them away. It has pictures of the Leitz Wetzlar factory in the 1950s. It’s not at all the same.